Exceptional UltraHD, HDR, and touch integration—Work with UltraHD (UHD) 4K and 8K media and beyond, and high dynamic range (HDR) files across Creative Cloud applications and throughout your creative pipeline. 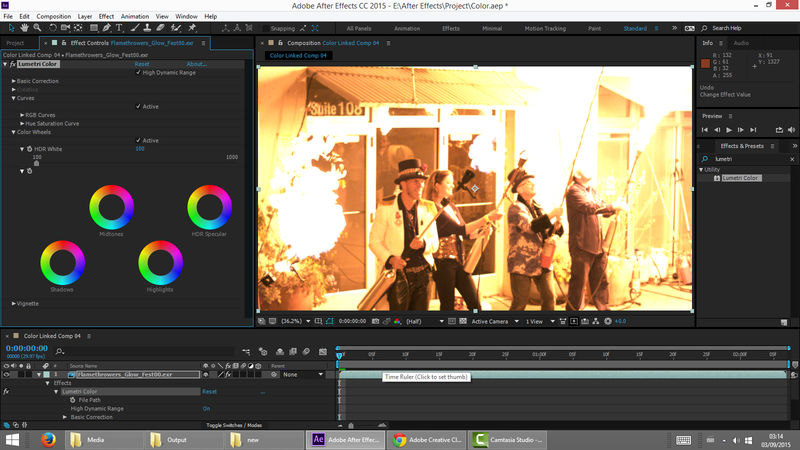 Maintain color fidelity between Adobe Premiere Pro CC and Adobe After Effects CC with the Lumetri effect now also in After Effects. Plus, navigate panels and workspaces with touch and speed your work with gestures on your Microsoft Surface Pro, Windows 8 tablet or Apple track pad. Creative assets everywhere you work—Access your project or personal assets wherever you are through Adobe CreativeSync technology. Share images, color Looks, and more between Creative Cloud desktop tools including Photoshop and Illustrator, and with mobile apps such as Adobe Hue CC and Shape CC. Drag assets straight from the Creative Cloud Libraries panel inside After Effects and drop them into the Composition panel. Creative Cloud lets you access and apply assets to your projects without interrupting your creative process. Vibrant world-class marketplace—Search, try out, and license any of the 45-million high-quality royalty-free images through the Adobe Stock service built into the Libraries panels in Premiere Pro and After Effects. ” said Dado Valentic, Founder and Chief Colorist at Mytherapy. 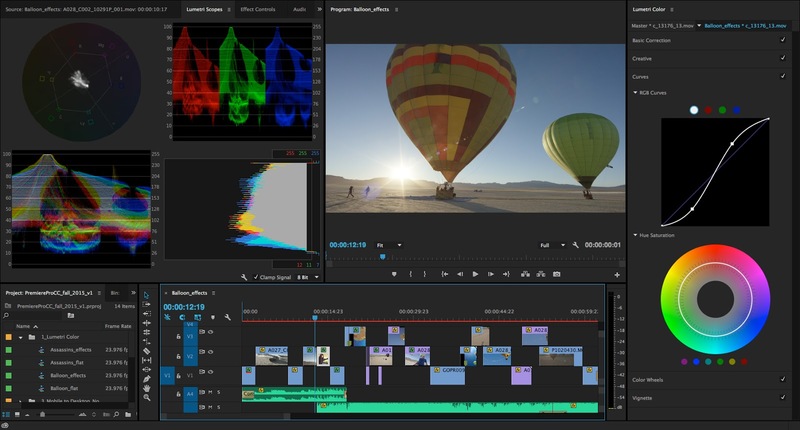 Having set the standard for the best native file format support in the industry, Premiere Pro expands support for UltraHD and HDR formats with the inclusion of DNxHR, HEVC (H.265), and OpenEXR. Edit and deliver video with resolutions up to and beyond 8K, with high dynamic ranges that capture and preserve details like shadows and highlights. Plus, apply color corrections and create sophisticated Looks with the powerful and accessible Lumetri Color panel in Premiere Pro. This makes working with color and light an integral part of your creative process. Use multi-touch devices to augment a powerful keyboard-driven workflow. Tasks like building a cut, scrubbing media, marking in and out points, dragging and dropping clips onto a timeline, and making edits can all be done with simple gestures. Pinch to zoom in and out of the Timeline and Monitor panels, and drag to scroll through all workspace panels. Control Premiere Pro through touch with Microsoft Surface Pro and Windows, and with Apple trackpads. Generate exceptionally smooth slow-motion and speed-ramp effects, as well as high-quality frame rate conversions through GPU-accelerated Optical Flow frame interpolation technology. 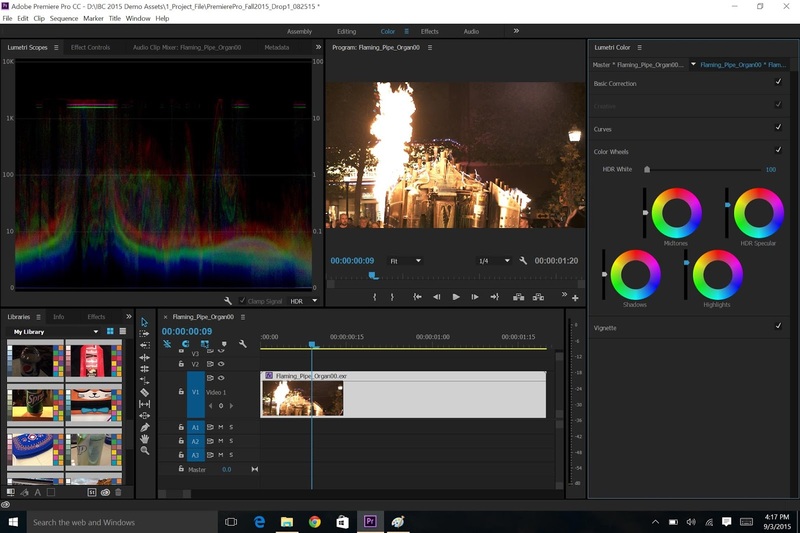 To learn more about what’s coming next, visit the Premiere Pro blog. The industry-standard for motion graphics and visual effects has expanded its support for touch-enabled computers and smaller screens. Use your fingers to control After Effects workspaces. Pan compositions while adjusting composition properties and without halting playback through Uninterrupted Preview, now with more playback control for material with long per-frame render times. Maintain color fidelity between After Effects and Premiere Pro; the Lumetri Color settings you make in Premiere Pro carry over to After Effects. Keep pace with rapidly developing color workflows through deeper support for ARRI RAW, Rec. 2020, and other UltraHD and HDR formats. In Character Animator, when working on touchscreen displays, use multi-touch to simultaneously animate movements of different parts of a character, such as left and right arms. Character Animator will also soon be available in French, German and Japanese. Learn more about what’s coming next on the After Effects blog. Adjust the duration of a song to match your video content with Remix. Much more than a simple looping tool, Remix automatically rearranges your music to any duration while maintaining musicality and structure, creating custom tracks that fit your storytelling needs. Generate synthesized speech in dozens of voices to create scratch voiceover and narration that let you work on a project without waiting for finished recordings. 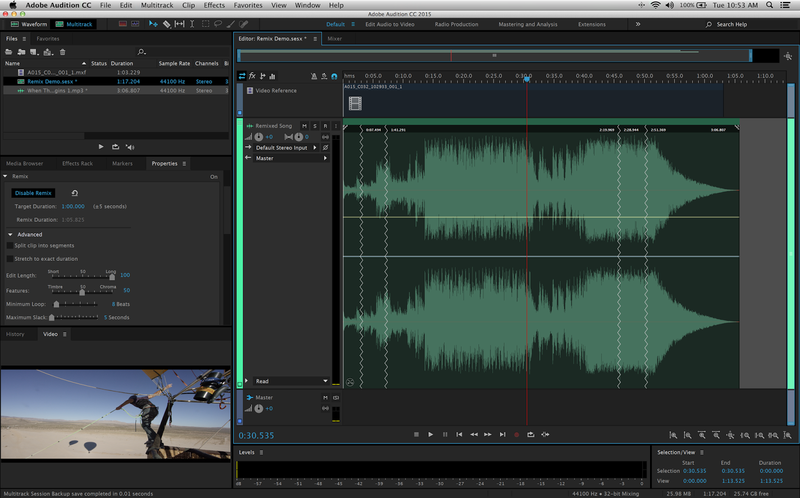 Learn more about what’s coming next on the Adobe Audition blog. Easily post content to your Facebook account as efficiently as you do to YouTube and Vimeo today with Destination Publishing. A single action solution for rendering and delivering content to popular social platforms such as YouTube, Vimeo and Creative Cloud, Destination Publishing now includes support for Facebook to easily showcase and promote social media projects and campaigns. Deliver pristine UltraHD content encoded to the latest 4K formats including HEVC (H.265), DNxHR, and XAVC Long GOP. Render image sequences, including OpenEXR sequences, through automated workflows that launch when you drop sequences into Watch Folders. Offload rendering tasks from After Effects to Adobe Media Encoder so you can continue working in After Effects. Regulate the perceived loudness of your audio to meet ITU and other broadcast standards with Automatic Loudness Correction (also available in Premiere Pro and Audition). 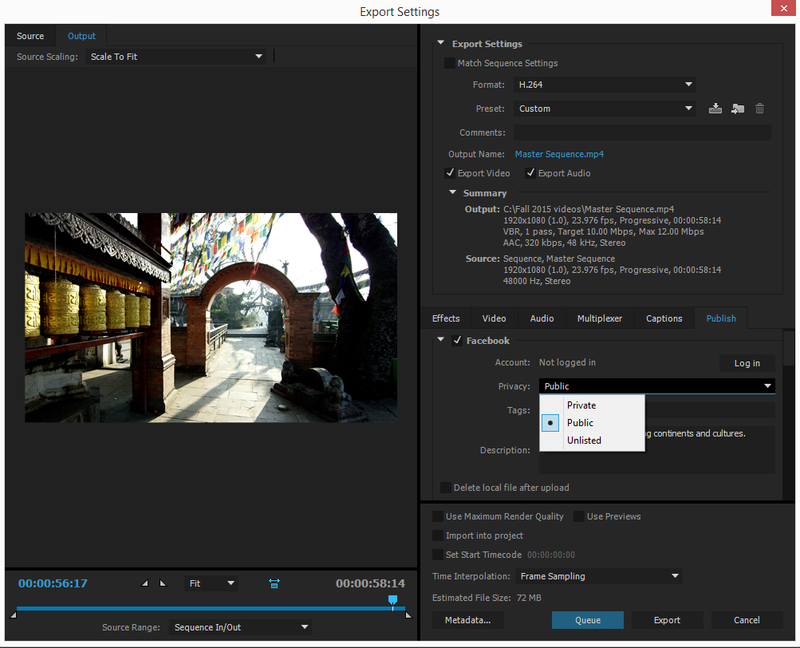 Learn more about what’s coming to Media Encoder CC on the Premiere Pro blog. Anywhere can now be deployed as either a multi-location streaming solution or a single-location collaboration-only version. Collaboration-only deployments bring a more focused collaboration feature set to enterprise customers who do not have remote editors. Please note that Anywhere is a separate offering from Creative Cloud..
Access all Adobe professional video applications, as well as Photoshop, Illustrator, and many other creative tools with your Creative Cloud subscription. Get easy and constant access to your graphic assets through the Creative Cloud Libraries panels built into After Effects and Premiere Pro. Use Adobe CreativeSync technology to keep all your creative assets—media, Looks, and more—up to date and instantly available wherever you need them—across desktop, mobile, and web apps.